This black and white birthday party flyer is perfect for advertising a party for any age. 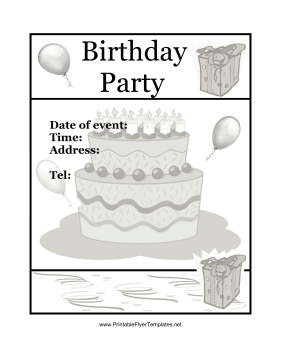 Cartoon presents and a cake decorate the flyer, and plenty of space is provided for including details about the event. Don't forget to include who the party is for!